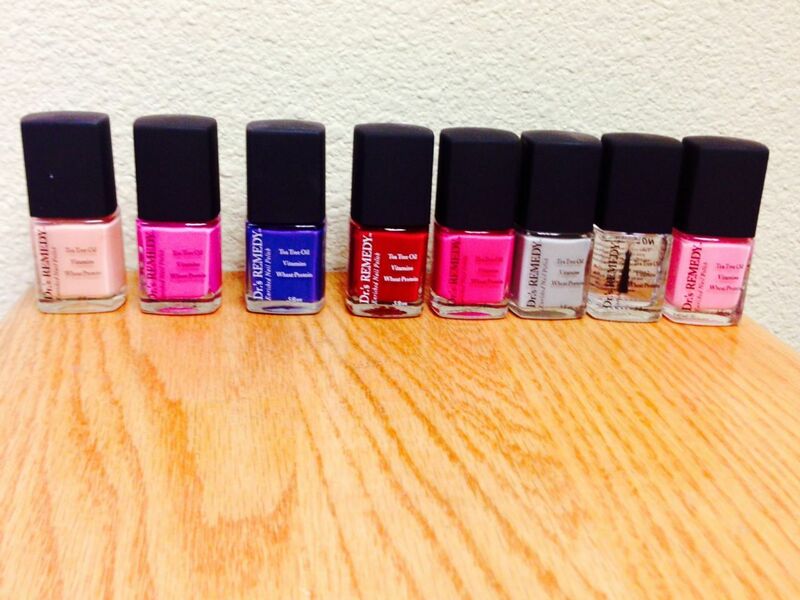 Dr.'s Remedy Nail Polish- Now available for purchase in our office! The blend includes tea-tree oil, garlic bulb extract, lavender, wheat protein and vitamin C and E.
It is also vegan friendly and it contains a range of organic ingredients in its special formulation. It does not have formaldehyde, resin, toluene, or DBP. It’s the first and only nail polish to receive APMA's seal of approval. Its nail care solutions can minimize the appearance of dry and brittle nails, hydrate nail cuticles, and improve the wear-time of your nail color. Stop in our office today to pick up one of your favorite colors for only $15 each!